Our previous reports below on the Pakistani IT aides who literally had unfettered access to House Democrats’ information are shocking. To sat that this was a hot mess is a huge understatement. 44 House democrats basically opened their computers to shady characters who took advantage of them. Abid, Imran, and Jamal Awan were barred from computer networks at the House of Representatives in February. Three Pakistani brothers who managed the IT affairs for several Democratic government officials were relieved of their duties in February on suspicion that they accessed specific computer networks without permission, also known as hacking. Imran Awan, who started working for Wasserman Schultz in 2005, received $164,600 in 2016, with close to $20,000 of that coming from Wasserman Schultz. His brother Jamal, who started working as a staffer in 2014, was paid $157,350.12 in 2016. Abid, who started working in 2005, was paid $160,943 in 2016. Imran’s wife, Hina Alvi, who was employed as a staffer since February 2007, was paid 168,300 in 2016. Rao Abbas was paid $85,049 in 2016. Most of the House Members fired the Awans subsequently. 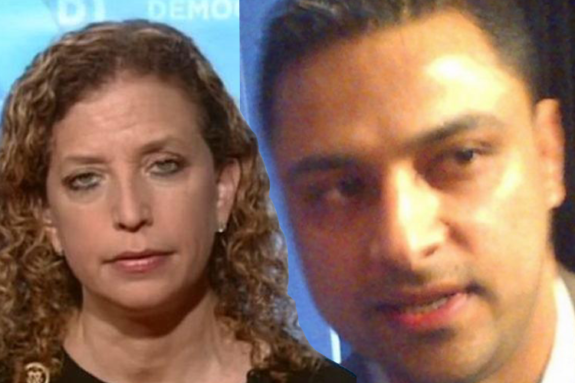 Only Debbie Wasserman Schultz kept Imran Awan on the pay roll up to the day he got arrested for bank fraud after trying to flee the country. The rest of the family fled to Pakistan and brought with them tens of thousands of tax-payer money with them. Democrats were willing or unwillingly compromised by the Awans and sensitive information leaked to foreign Enemies. –GP On Monday Judge Napolitano dropped this bomb on the Imran Awan investigation. Judge Napolitano says Awan was selling US secrets to foreign agents. https://youtu.be/7vzESQbU9tA Even Fox News’ liberal host Geraldo Rivera went off on this unbelievable story. Where is the rest of the mainstream media? Why are they ignoring this story?